Just yesterday, we told you that Apple had released iOS 12.0.1 to exterminate a few bugs. Today, the third developer and public beta versions of iOS 12.1 were disseminated by Apple. The final version of iOS 12.1 will give iPhone users the ability to adjust the depth control while taking a photo, in real time. Currently, adjustments can be made only after the photo has been snapped. Depth control allows bokeh connoisseurs to adjust just how blurry the background appears on a portrait. In addition, iOS 12.1 will allow iPhones from Verizon, AT&T and T-Mobile to support an eSIM. This is a SIM card in the form of a chip that is embedded on a handset's motherboard. The new build will also add 70 new emoji for iOS users to employ. 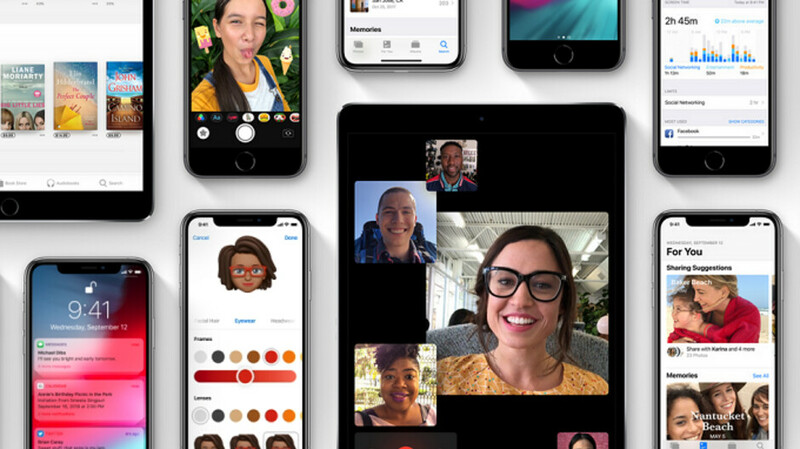 And for those who would love to see the confusion involved in a 32-way video chat, Group Face Time makes its official debut once iOS 12.1 is released. If you are a registered iOS developer, or you have subscribed for the public beta releases, the updates are available now. Keep in mind that these are not stable versions of the mobile operating system, and you might not want to test them on your daily driver. For those not registered with either beta program, keep in mind that we could see iOS 12.1 pushed out before the end of this month. Bring it on, and make damn sure it’s stable Apple. Kudos on the quick fixes in 12.0.1, but they shouldn’t have been there in the first place, seeing that iOS 12 is all about stability and performance. No free passes.